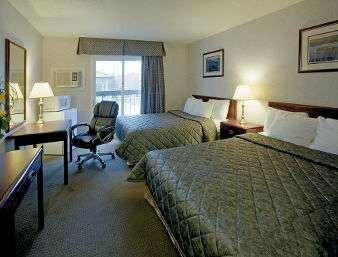 Located on King St. East, this hotel is a 3-minute drive from the 401 and an 11-minute walk from the 1000 Islands Charity Casino. 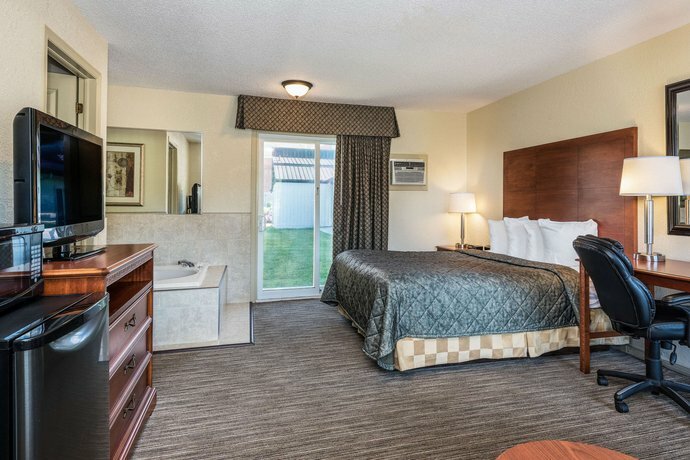 This hotel is popular with guests who want to be within walking distance to the casino and other attractions. All of the 29 rooms at this hotel have free Wi-Fi, a coffeemaker, a hair dryer and an iron and ironing board. 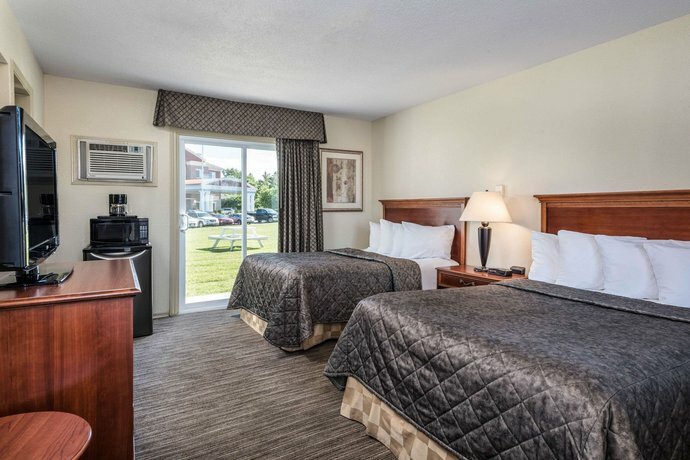 Guests can choose between standard rooms (double or queen beds) or more spacious suites (queen beds, separate bedroom). Pets are permitted for a cost of $15/night. 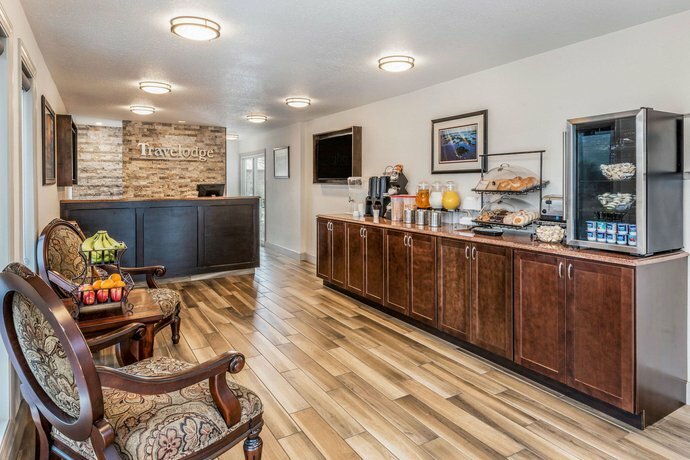 There is no restaurant on-site, but guests are offered a free continental breakfast daily. There are a number of restaurants within a 5- to 10-minute walk. 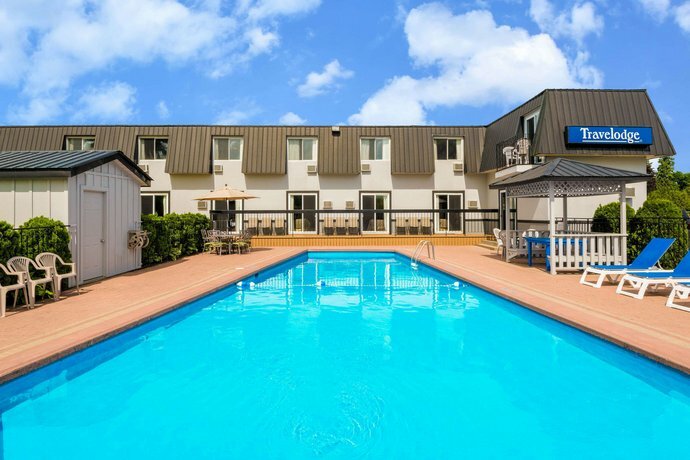 On-site amenities include free parking and an outdoor pool. 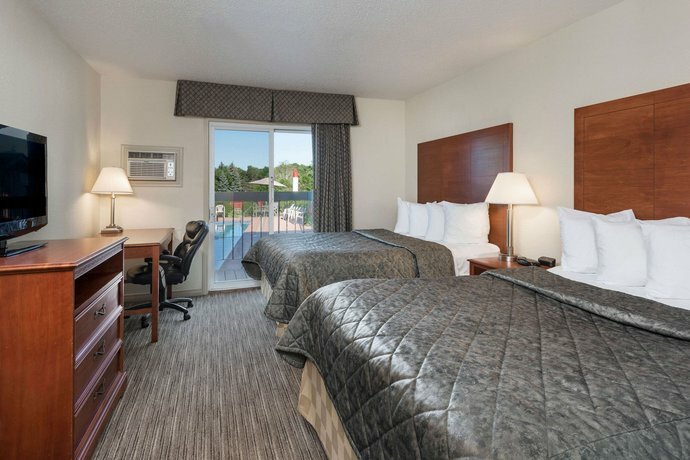 Confirmed with a front desk agent: Wi-Fi, breakfast and parking (call date: November 6, 2012). 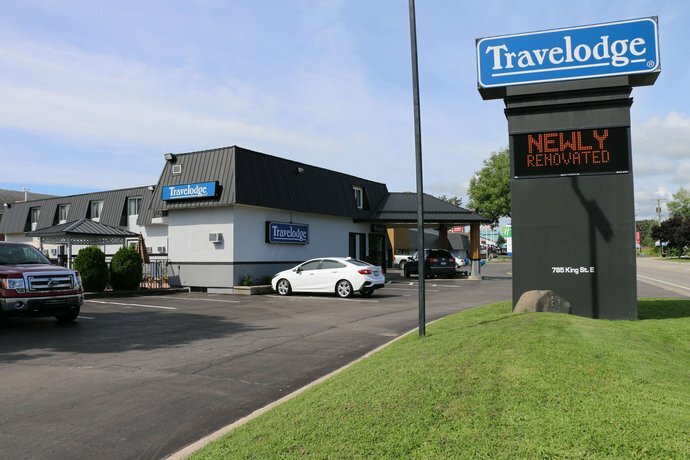 Many of the reviews for this hotel were positive, and guests were really pleased with the hotel's location and with its customer service. 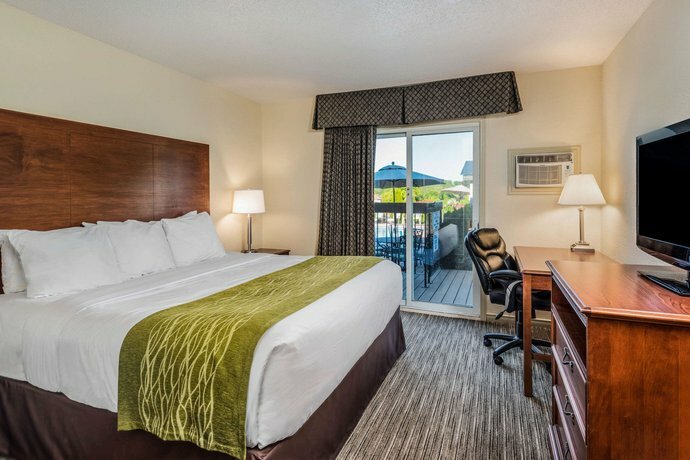 Guests praised this hotel's location and liked its proximity to the 401 and to the 1000 Islands Charity Casino (4-minute drive or 11-minute walk. Guests also thought that it was conveniently close to downtown (20-minute walk). Staff here delivered friendly, personable service, according to guests. Staff went out of their way to offer advice on local restaurants and attractions, and to give directions. Rooms were clean and comfortable, according to guests. Guests liked the outdoor pool, saying that it was clean, and that the wooden deck surrounding it was pleasant. A few guests said that the water was warm. A lot of the reviews used for this analysis were favourable, but guests did have a few complaints in common about the hotel's price and decor. A few guests found the hotel to be overpriced and expected more amenities and nicer rooms for the rate. The decor was dated at this hotel and could use replacing, according to guests. Bedding, furniture, linens, lamps and broken bathroom tiles were mentioned specifically. A few guests complained about being disturbed by noisy guests in other rooms. 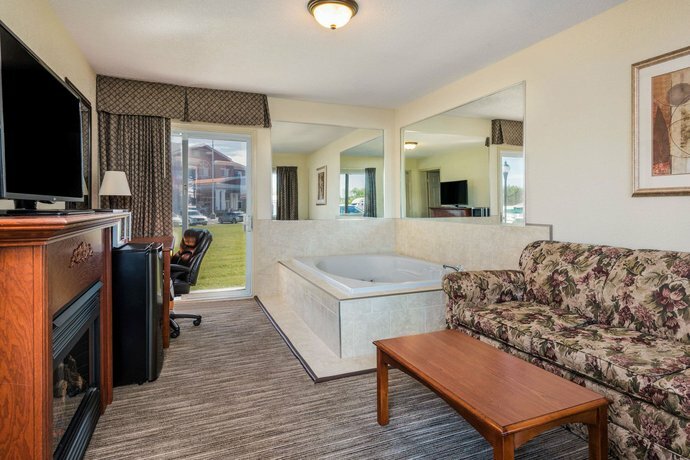 A few guests complained about noisy, rattling air conditioning units in the rooms. Some guests complained about the lack of space in the breakfast room, and many had to return to their rooms to eat their breakfast. A few guests complained about odours of stale cigarette smoke. 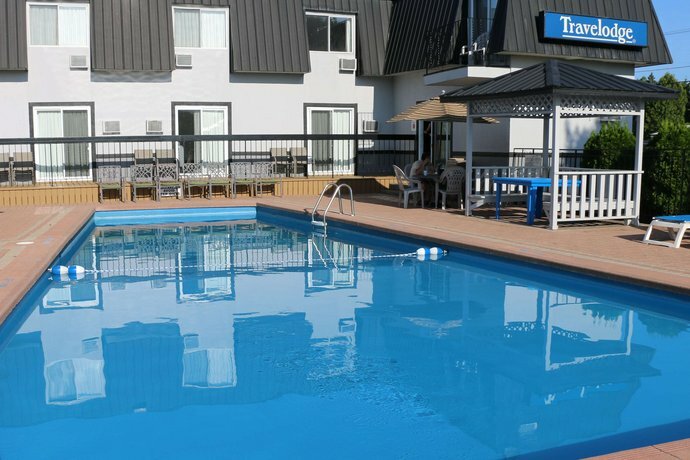 TripAdvisor.com guest reviewers ranked this hotel #10 out of 14 Gananoque hotels, based on 43 reviews. 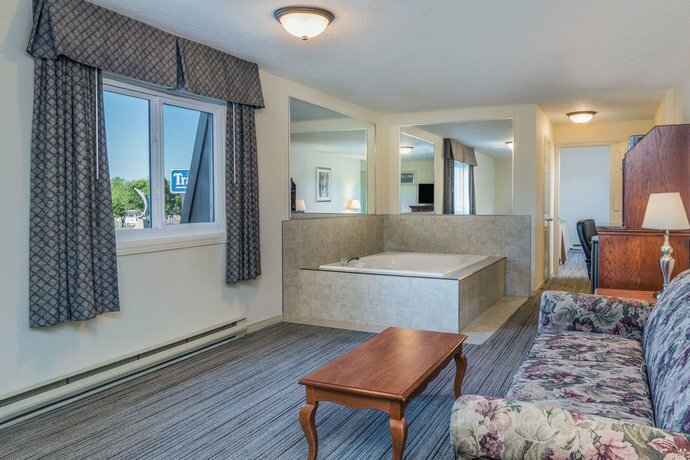 Booking.com guest reviewers rated this hotel 7.7 out of 10, or "good", based on 12 reviews. 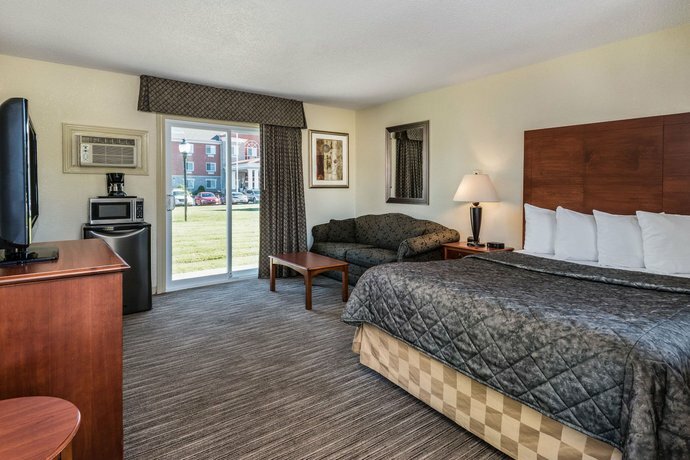 Hotels.com guest reviewers rated this hotel 3.2 out of 5, or "good", based on 28 reviews. 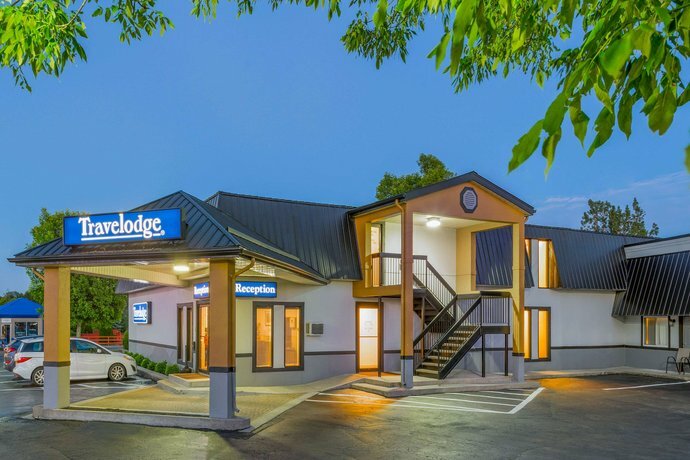 The average guest rating for Travelodge by Wyndham Gananoque is 6.9 out of 10 based on 564 reviews from past guests. 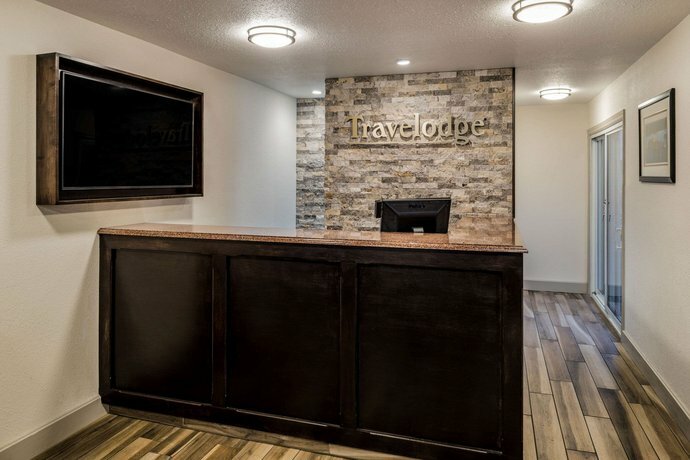 This average guest rating ranks Travelodge by Wyndham Gananoque at #8 out of 10 hotels in Gananoque.